Scent Killer Liquid Soap is an anti-bacterial liquid soap with special odor-stopping properties for hair and body. Gentle on you, murder on human scent, the soap is extra concentrated for long term effectiveness. It is also bio-degradable. 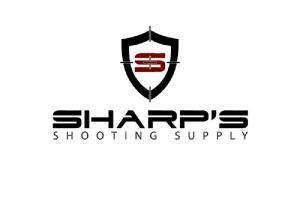 Scent Killer Clothing Wash comes in either powder or liquid form. These two unique formulas clean clothing as it washes away odors, without adding an odor. It contains no UV brighteners and is bio-degradable. The powder formula also chemically eliminates odors as it cleans. Scent Killer Antiperspirant and Deodorant is a special odorless formula that keeps you dry and odorless all day long. It comes in a convenient push up stick, and is a must for big game hunters. 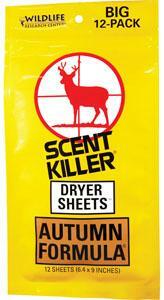 Scent Killer Spray is a scent eliminator for clothing and boots that is totally odorless. The spray stops odors at the molecular level before they form a gas. No gas, no odor. It continually works to keep you odor free for extended periods of time. Scent Killer Shampoo is a special hunters formula. Unscented shampoo cleans and washes odor out of your hair. Deodorizes your hair while it cleans.